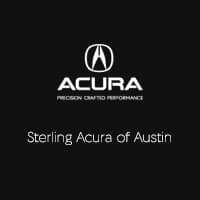 Drive home in a great used car from Sterling Acura of Austin without compromising on quality. From used Acura models to various other used makes, you’ll easily find a car for you here and through our rotating selection of used vehicle offers. Browse our used inventory online and find the best model for your before coming into our Austin dealership for a closer look. We’re confident you’ll find a make and model you’ll love that fits within your budget, thanks to our varied pre-owned stock. If you have any questions or concerns, or want to schedule a test drive, don’t hesitate to contact us today. Our experienced and professional staff will make sure you find a car that fits your lifestyle, whether it’s a used Acura model or a used vehicle from one of our other available makes.